Eqyptian Sphinx Foam Display Prop - Dino Rentos Studios, INC. 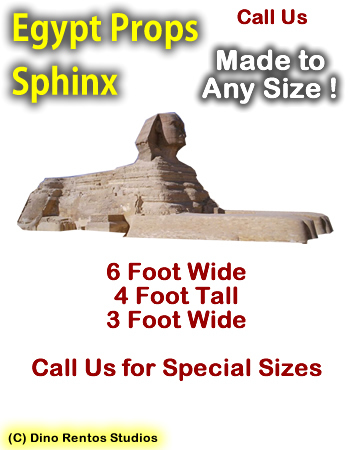 This Sphinx display prop is great for film, stage and floats! Order hard coated for a textured look and feel. Also makes it durable for long-term use.